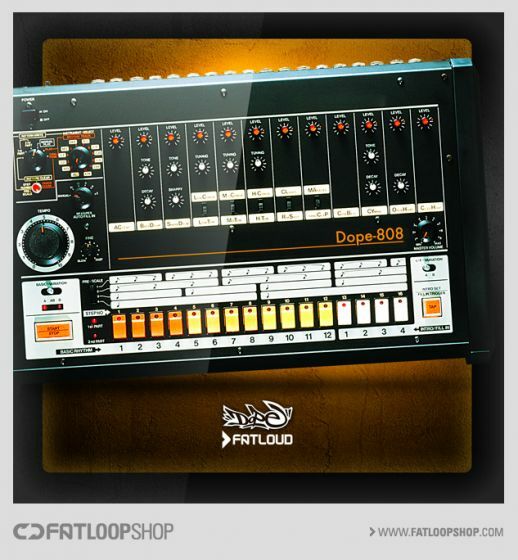 We're happy to present you Dope808. Is it another stock 808 library? Yes and no, but mostly... no. Sure, it is inspired by modern 808 sound and yes, it has all those big & tuned in key kicks, crispy snares & hihats, wide cymbals, snappy toms, cowbells, congas & other misc samples achieved by torture of our tape machines - but it's not a big allround library of stock sounds. In fact, we think that this little library is a perfect companion for all your 808 and non-808 samples. It'll defenitely bring some 'fresh air' to your drum patterns. Just download the demo and try it yourself!